Attracting those who hold casual comfort and fun times with family at the top of their list, the Charlie family room furniture collection is not one to be missed. Designed in a casual furniture style, this collection features high density foam cushions and pocket coil seating for relaxed comfort with pillow topped arms and padded recline seats. 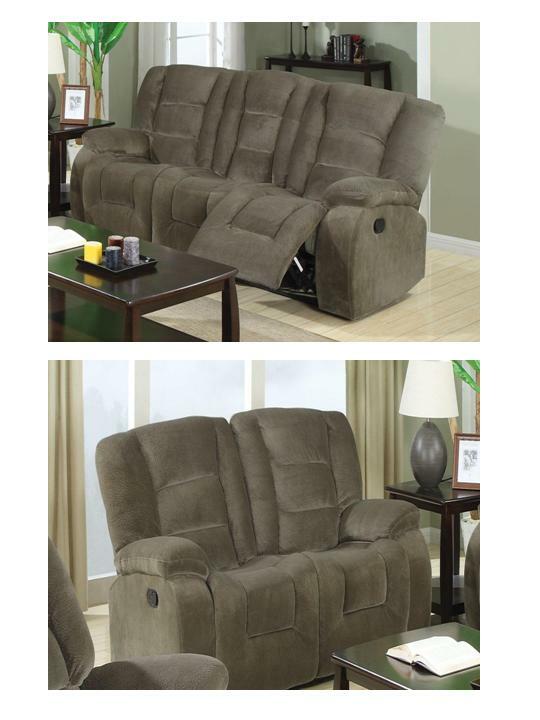 Comprised of a sofa, loveseat. 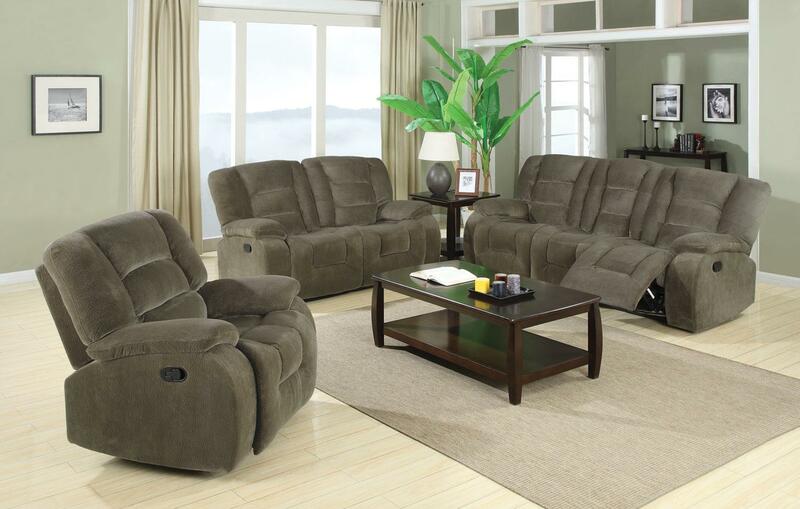 Covered in a rich Brown Sabe that has the soft textured feel of quality velvet, this casual-contemporary furniture collection is sure to become a quick family favorite.